Book your free demo today, quoting HSK19, and get an exclusive 10% discount, available only to hsk-knowledge.com readers. Excellent incentives for successful referrals – enquire for details, reseller packages also available. To explore how you can reach thousands of housekeeping professionals and decision makers in hotels by publishing an advertorial on hsk-knowledge.com, please contact christoph@hsk-knowledge.com today. Successful hospitality businesses see a constant flow of employees and guests arriving and departing. All being well, all visitors will have had a pleasurable experience and leave without any accidents or injuries occurring. It’s reasonable for all employees and for your clients to expect that whilst on your premises, they will be well looked after. 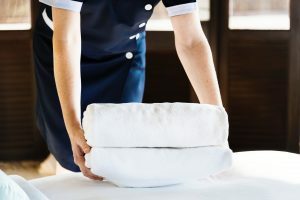 Health & Safety Issues – Housekeeping doesn’t seem like a dangerous occupation but hidden within a cleaner’s duties are dozens of potential hazards. Cleaners use a variety of chemicals daily and are exposed to fumes whilst doing so. 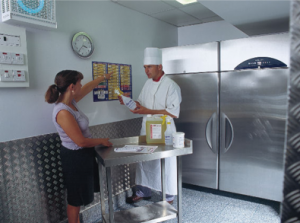 Bathrooms, especially, have many invisible contamination risks which could cause serious illnesses for staff who do not follow strict hygiene policies using correct Personal Protective Equipment (PPE) when required. The bedrooms are no safer, with many hotels now switching to heavier mattresses, each with four corners to be lifted for each sheet and cover to be tucked before a new guest can check in – each bed changed is one closer to an injury, which can leave hotels short-staffed in the staff area they rely on the most. Furthermore, since the new Health and Safety Sentencing Guidelines were enforced a little over 2 years ago, not only have the HSE been 95% successful in bringing cases to conviction but they’ve also cost businesses 80% more in fines than convictions prior to this. Few businesses can survive the financial blow that a health and safety breach resulting in conviction could deliver. In this article we look at how language barriers can stand in the way of compliance and how CRAMS can be used to overcome this. This list is far from conclusive unfortunately and new risks are brought into the workplace constantly. Thankfully, the risk posed can be minimised by completing risk assessments relating to your organisation and having proper method statements and training in place for each task a cleaner undertakes within their working hours. However, more managers are finding that at least part of their workforce are not native English-speaking. How do you deliver comprehensive training when even the simplest of messages get lost in translation? Staff Training – An employer has a legal duty to provide a safe working environment for their employees and they are responsible for ensuring that each staff member is adequately trained to carry out their role in a safe and competent manner. The best way to manage risks within a work place will always be effective training; ensuring employees know what they are supposed to be doing, how they should be doing it and who to inform if there is an issue. Trained staff are more efficient and consistent, they protect your brand by adhering to standards and they are less likely to have an accident in the work place. Evidence also showed that having well trained staff not only increases performance but also decreases staff attrition by empowering staff and making them feel valued. 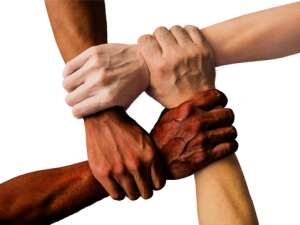 Language Barriers – Having a diverse team is something that should be actively encouraged: bringing diversity into a team brings in new skills, ideas and makes for a strong workforce, but language barriers, if not correctly managed, can make practise unsafe for all. It only takes one staff member to fail to follow procedure to put a full team at risk. Not only is a language barrier an impediment to proper training and supervision, which includes explaining policies and giving performance reviews, it also makes feedback from staff to management incredibly difficult, so hazards are either incorrectly reported or not reported at all, further increasing risk unnecessarily. What is shocking is that even with new technological advances, many housekeeping departments are still run the same way they were three decades ago using archaic methods to combat communication difficulties. It is not uncommon to see colour coded systems which, whilst sometimes being effective, remove the need for communication, discouraging feedback and making new training or changing systems very difficult to translate. Pictographs are commonly used in these settings too – when combined with personal demonstration and repetition, this can be an effective training tool, however, training using this method can be open to individual interpretation and any deviation from the expected procedure can cause issues. So really, we have to consider, should we be depending on something as simple as a colour coded sticker or a poster on the wall to ensure our staff are operating safely and efficiently; or is it time we found a way to ensure, rather than assume, proper and fair training, instruction and opportunities are given to all members of staff? Location, site, area and task specific work standards in the form of a Method Statement and a Risk Assessment which is translatable. It provides clear work instruction in 56 languages in order to obtain the desired standards of work. Highlighting of tools which are required to safely undertake a task and the PPE required, again transcribed in 56 languages to assure clear tuition and industry compliance. Uploads of Company Policies which can be cascaded and translated by your team with the touch of a button. The CRAMS system houses all data centrally and requires your staff to acknowledge the Risk Assessments, Method Statements and Company Policies individually, providing you with a record of their understanding. 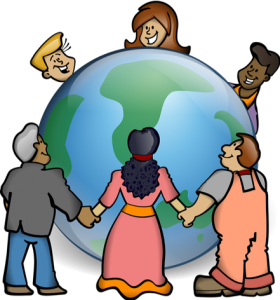 With communication being a major barrier in the industry, this translation feature in CRAMS software resolves the frustrations and hindrances most Executive Housekeepers and their foreign speaking teams face. Empowering ALL your team – Executive Housekeepers using CRAMS will see how easily foreign speakers can be integrated into their teams, having the confidence from day one that every employee will be safe, and each room will be cleaned to the same standard each time. In addition, they will experience how using CRAMS empowers all to take more individual responsibility for reducing risk and reporting issues. CRAMS offer a solution for proper and thorough trackable training, personal development plan management and more, helping staff to recognise how important their job is to the success of the establishment and giving them the skills, they need to operate safely or even develop into new roles where applicable, consequently improving staff retention rates. 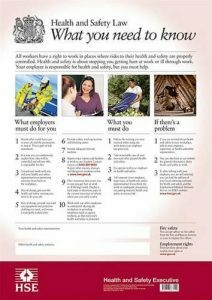 It’s the law – The basis of British health and safety law is the Health and Safety at Work Act 1974. The Act sets out the general duties which employers have towards employees and members of the public, and employees have to themselves and to each other. These duties are qualified in the Act by the principle of ‘so far as is reasonably practicable’. In other words, an employer does not have to take measures to avoid or reduce the risk if they are technically impossible or if the time, trouble or cost of the measures would be grossly disproportionate to the risk. The Management of Health and Safety at Work Regulations 1999 (the Management Regulations) generally make more explicit what employers are required to do to manage health and safety under the Health and Safety at Work Act. Like the Act, they apply to every work activity. The main requirement on employers is to carry out a risk assessment. Employers with five or more employees need to record the significant findings of the risk assessment. Risk assessment needn’t be complicated in most work environments. These laws do not allow for excuses about barriers of any kind, it is your responsibility to ensure your staff understand how to fulfil their roles safely and without risk. Using CRAMS to manage this makes creating new policies and method statements simpler than ever before, with hundreds of helpful hints and pre-set choices to give even the most health-and-safety-phobic manager the tools they need to be compliant and provide the documentation they are legally expected to. CRAMS Cloud based H&S software topples the language barrier CRAMS was designed as to be a full solution to all aspects of health and safety including training and staff development management, the translation feature is just one of the many simple but invaluable tools included to assist with that. Below are some more features and benefits of using CRAMS. To see these in action, why not get in touch with the CRAMS team and arrange a demo today remembering to quote HSK19 for your exclusive discount! 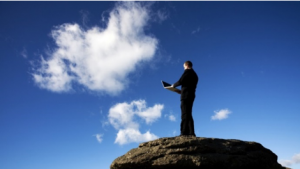 Cloud-based – externally managed, no need to worry about backups or GDPR compliance, we manage this for you, as well as always providing you with the newest version of CRAMS available at no extra cost! No more paper! – Reduce your carbon footprint and lessen your admin duties by pre-setting which CRAMS apply to which job roles, then simply assign a new starter the correct job role and CRAMS will auto assign them to everything they need to know and audit their understanding for you. Protect yourself, be auditable – CRAMS logs every change and action made in the system, should an issue arise, you can see exactly where there is a problem in just a few clicks, or prove there was not one if needed, in the event of legal action. Free support as standard – no exception – As a CRAMS customer you get free fully inclusive support on the system from our friendly team of support analysts developers whenever you need them! We also take on all feedback and include as many as your suggestions as we can in each subsequent release. Less Text but More Understanding – By combining risk assessments and method statements, new starters are given less documents to read through, this is less daunting and should allow for more of that vital information to be retained rather than lost in an unnecessary word count! Real time notifications – email notifications can be set for almost anything within the system, staff receive email notifications to renew their own training as well as their managers, empowering them to take their development into their own hands. Email notifications are also sent to let a competent person know if a team member has not accepted the required CRAMS for their role so they can ensure 100% competence and compliance within their team! Attacks many problems with one solution – Allows you to keep many different aspects of health and safety management within the workplace in one place, reducing admin and making awareness and compliance much simpler for end users. It also makes accident, incident and hazard reporting more likely as staff already using the system and familiar with it. Access to many RoSPA accredited courses – Our ever-growing library of commonly required training courses are available to you and your staff from the second you start using CRAMS and include some essential learning opportunities on topics like manual handling, data protection, equality and diversity and many more. These courses link through to your CRAMS site and are tracked through each users account, reminding them when it’s time to refresh. Up to date safety data sheets – Our system emails each manufacturer of each chemical entered into the CRAMS system and checks our data sheet version with them on a monthly basis. Where an update has been released, we then apply this to the system and notify all staff who are exposed to this chemical, so you always have the most up to date safety information at the tip of your fingers.